Florida youth learn a vital lesson from the grandson of jazz legend BB King. TAMPA, Fla., September 13, 2018 – ​​Christopher King is a man with a mission—to put an end to human trafficking. 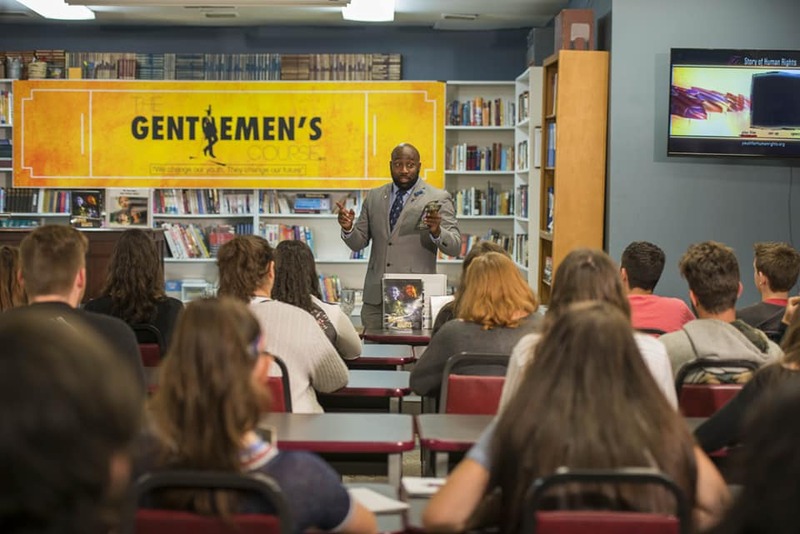 Introduced to United for Human Rights in 2015, King, the grandson of blues legend BB King, incorporated its human rights education into his nonprofit, The Gentlemen’s Course, which educates youth age 12 to 18 on attire, etiquette and human rights and raises awareness of human trafficking. King delivers his Gentlemen’s Course program at a space set aside for him by the city of Tampa at the Kings Forest Recreation Center and in schools and libraries throughout Central Florida. In June, King held his Gentlemen’s Ball at the Church of Scientology's Fort Harrison retreat, which he organizes twice annually to raise funds for nonprofits dedicated to fighting human trafficking and providing opportunities for youth, such as the Florida Coalition Against Human Trafficking, She Helps to Empower Foundation and Master of Achievement, Leadership and Excellence, Inc.
One month later, King brought his message to the United Nations where he was a guest speaker at the 15th annual Human Rights Summit organized by Youth for Human Rights International. The next The Gentlemen’s Ball will take place at the Fort Harrison on January 19, 2019. For more information on Christopher King and his program, visit The Gentlemen’s Course Facebook page. For more information on his human rights curriculum, visit the website of United for Human Rights.